Non-profits are complex. “Customers” are not the sole drivers of financial stability, and revenue is not the only measure of success. Non-profits need to be concerned with whether the service being successfully delivered, and if it is directly contributing to the organization’s mission. What is unique to non-profits is that the long-term viability of these organizations usually relies on maintaining relationships with multiple stakeholder groups, which is more complex than simply tracking customer purchasing activity. Assessing this from a management perspective means somehow measuring it. Morph the concept of ‘customers’ into unique stakeholder groups who are directly impacted by the service delivered by non-profits. This could be your members, volunteers, donors, partners, etc. Identify how the mission of the non-profit attracts each stakeholders group to the organization, and understand what types of positive interactions and experiences are critical to keep them engaged. Examine the channels of communication that you currently have to reach your stakeholder groups and if these channels can support survey distributions. Determine the percentage of customers you can reach, which will be key to your implementation planning. Non-profits simply need to know how they are doing with all key stakeholders as they interact with them. This understanding should happen way before donation checks are written or volunteers are asked to dedicate their time to the next need or effort. By collecting member and stakeholder feedback, non-profits have a powerful strategy tool with data and stories to improve processes, market more effectively and make key personnel decisions. To help share how NPS can be applied to non-profit organizations, OnStrategy is sponsoring a workshop September 18-20 for those interested in Irving, Texas. 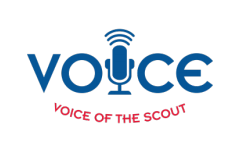 Hosted by the Boy Scouts of America, we will provide our shared learning for implementing the Voice of the Scout, which utilizes the Net Promoter Score methodology for BSA councils across the country. Participants can expect to leave the workshops with their own foundation for implementing NPS. Early registrations are now accepted until July 15. How can your organization provide more value to your stakeholders and community?